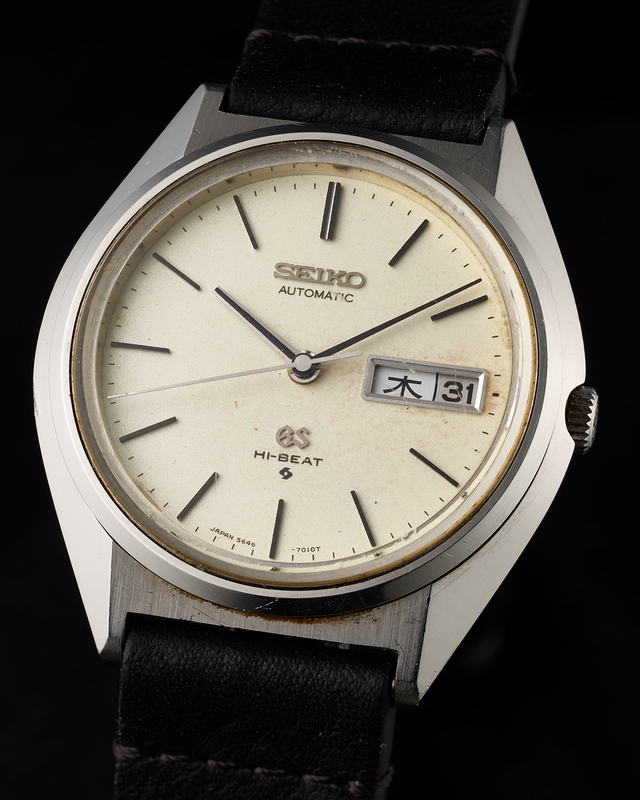 The 5646-7010 example presented here is in overall good condition. 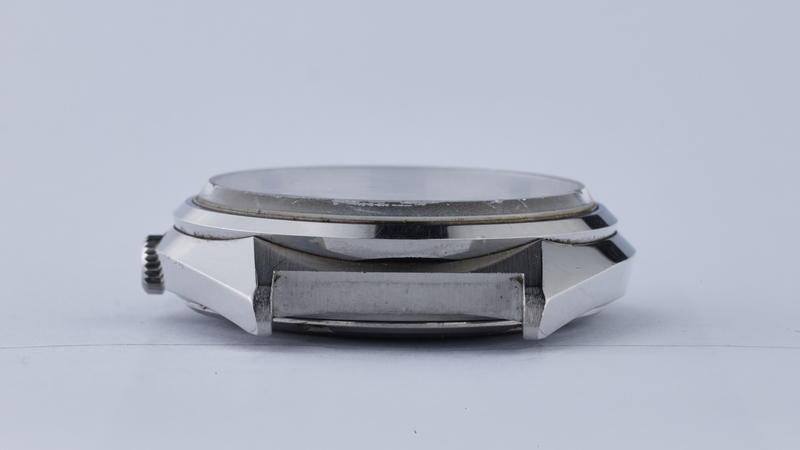 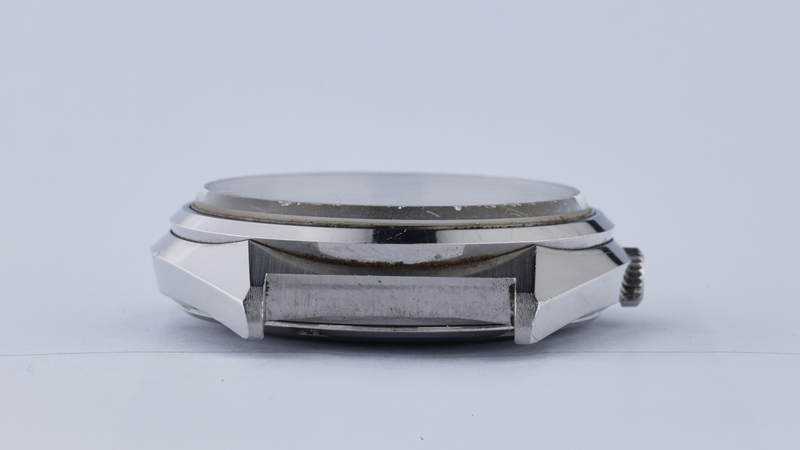 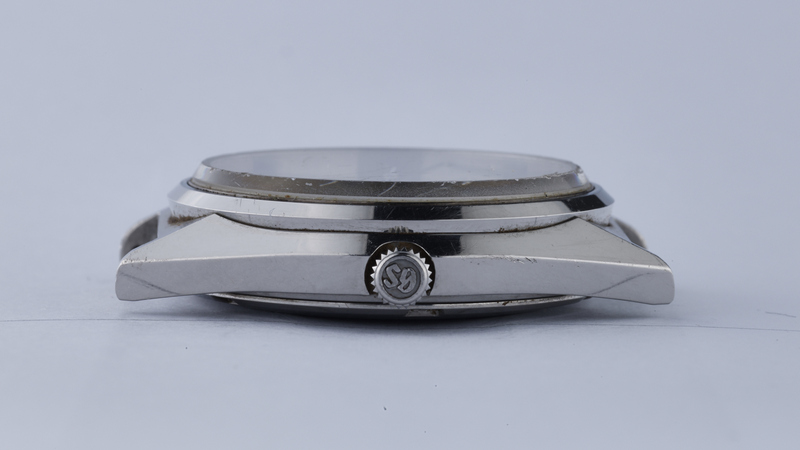 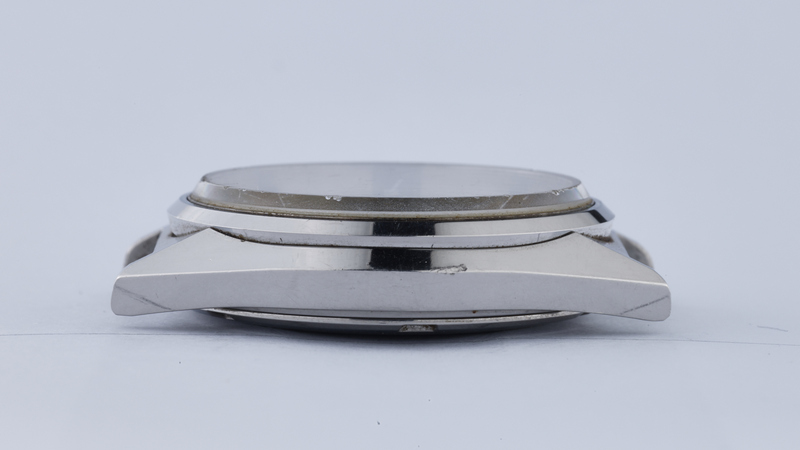 The case – which shows very little if any signs of polishing – retains its sharp edges and brushed finish to the surfaces between the lugs, and has a few relatively minor dings and scratches, all of which are clearly visible in the attached images. 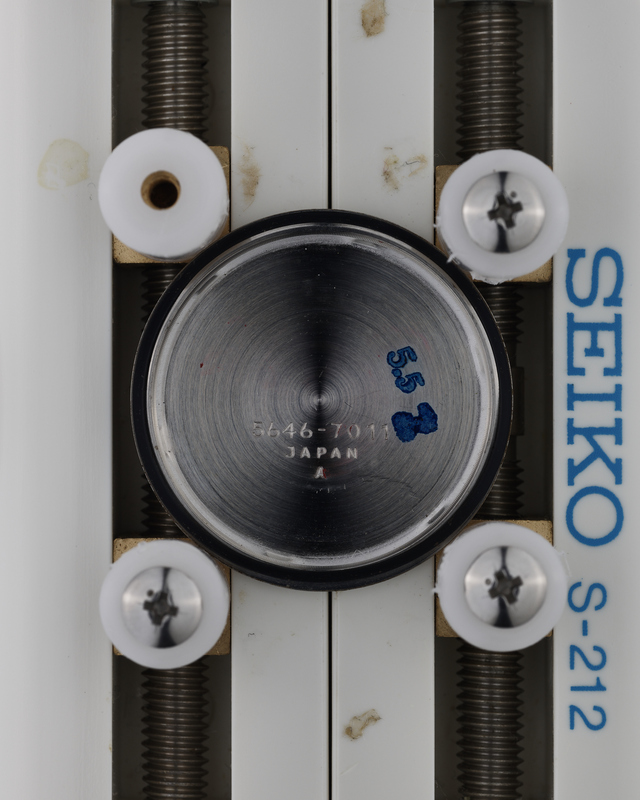 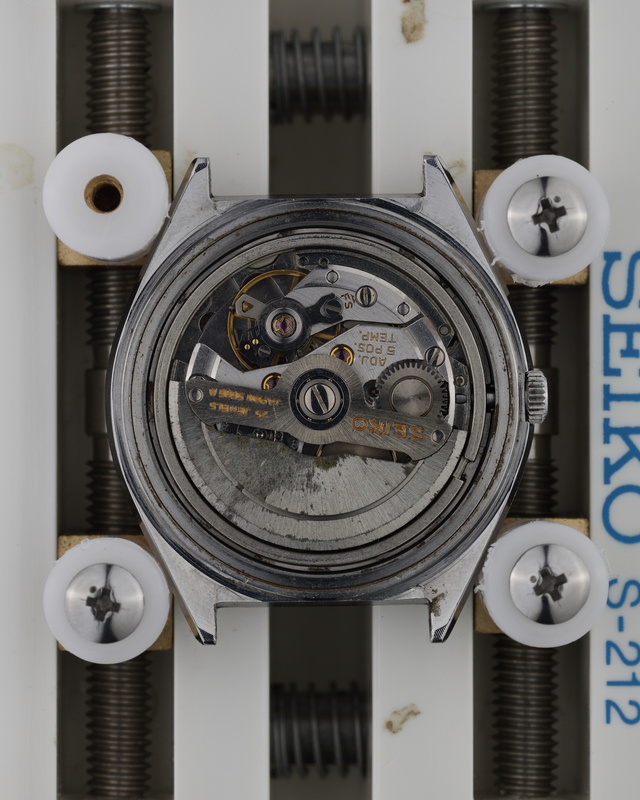 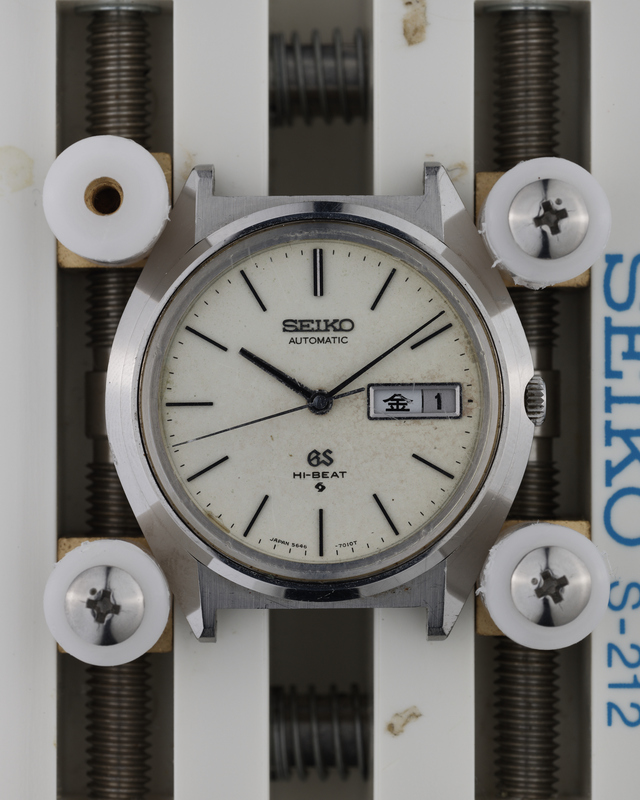 The dial does show signs of aging, with the original white colour somewhat dulled in appearance, and showing minor flaws in various places, most notably around the day-date window. 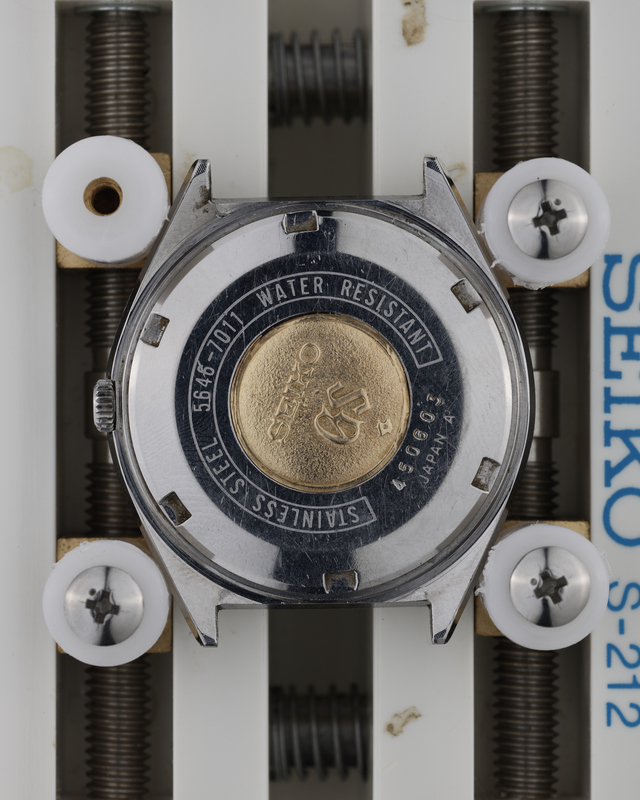 On a timegrapher in the dial-up position, the watch is running at around -8 seconds per day.